Teaching kids attentiveness takes perseverance but is not as complicated as one thinks. I know how frustrating it can be when our kids are not paying attention and listening to us. Kids can get distracted very easily. Especially in a house with multiple children, things can be very noisy and chaotic. 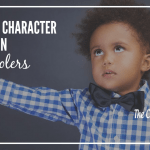 A couple of years ago I decided to start teaching my kids character and habit training as part of our homeschool. I bought a set of books called Laying Down the Rails based on Charlotte Mason’s teachings to start investing time in training my kids while they are still young. 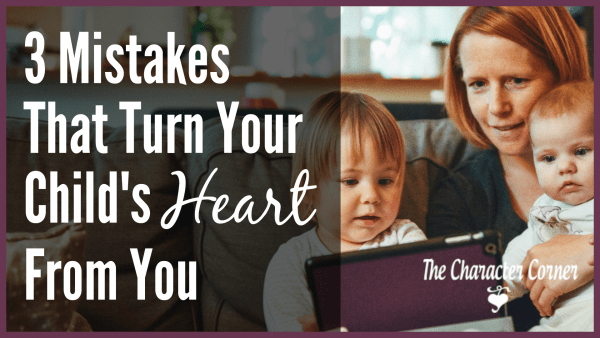 When I thought about the habits my children needed the most and what could benefit us right away especially in our homeschool, three habits came to my mind. The habits of attentiveness, obedience, and perfect execution. But for me, attentiveness was first. 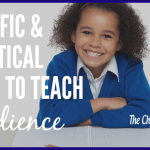 Why Teaching Kids Attentiveness First? 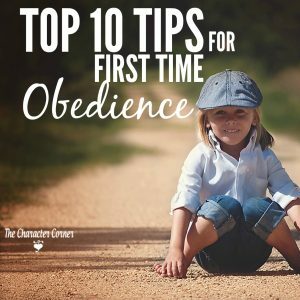 While one should think that teaching kids obedience should come first, I have to disagree. How can a child be ready to obey without first learning to pay attention to her parent’s instructions? So attentiveness was where we started and the difference it made in our home and homeschool was immediate. By having my kids attention, I can run my house much smoothly and waste less time getting homeschool done. Teaching kids attentiveness is teaching them important listening skills they will use for life. We must teach them to cultivate a posture of listening, to become more attentive and engaged with the people or the task before them. #1 – Explaining what paying attention means and why this is important. This may seem pretty obvious but honestly, I was never taught what paying attention meant, I was only told to pay attention. It wasn’t until I started teaching my kids’ attentiveness that I fully understood that paying attention means to put the full force of our minds (concentration) in what we have before us. Paying attention to people shows we care. As a busy mom, I have to confess that my brain is scattered and often my kids talked to me while I was doing something else and without me looking at their faces. Looking back at my attitude makes me feel ashamed because I was not showing them I cared. I even had to give up my smartphone for a full year to be able to focus solely on my kids. I knew I had to first model being fully present and giving them my full attention if I wanted them to do the same. It wasn’t easy for me. Imagine for them? I had to remind myself and discipline myself to stop what I was doing and look them in the eye when they spoke to me. Being fully present in this noisy and multitasking generation is a battle we are all dealing with. 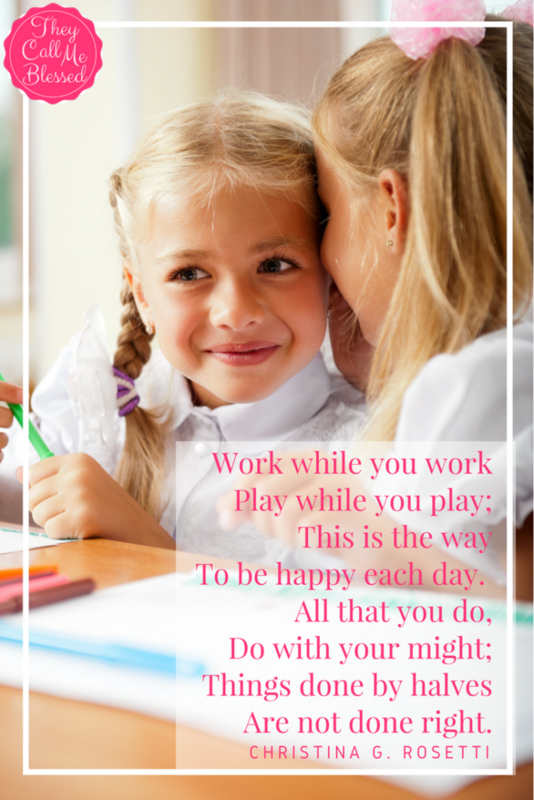 Distractions are everywhere, all the time, for us and for our kids. As parents, we must learn to pay attention ourselves in order to teach our kids attentiveness. Furthermore, we need to teach our kids that being attentive is a sign of respect for others and to do the opposite will make people feel ignored and not important. Paying attention to tasks help us accomplish our goals faster. This was another one of my big battles. especially with my middle daughter who is highly distracted even by her own shadow. Do you have a highly distracted child too? I noticed that in my own life, I was having a hard time accomplishing things without distractions and interruptions. My daughter’s battle is also my own battle. I had to learn to avoid distractions and focus completely on what I had at hand to accomplish. 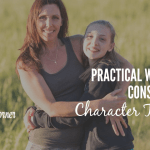 With my daughter, I had to be attentive to help her constantly get back on track. Pin the image below to remind yourself to teach your kids of this poem. How true it is that things done by halves are never done right. By quickly reciting this poem during a distracting moment in our homeschool, my kids are promptly reminded to pay attention. A good Bible verse to help our kids memorize is Colossians 3:23. “Whatever you do, work at it with all your heart, as doing for the Lord, not for people.” (My own paraphrase). Spend some time with your kids talking about what it means to do things wholeheartedly and the consequences of doing things by halves. Help them understand that if we pay attention to the task we have at hand, we will accomplish it better and faster. #2 – Lower your voice so you can be heard. That’s right. One of the ways I get my kids’ attention is to almost whisper. I know it’s funny but it works! The more I lower my voice when I want to be heard, the more they train their ears to be attentive. You don’t have to raise your voice or yell to get them to do something. Isn’t it a relief to know that? I tried yelling before, in fact, for years, and it did not help me at all. I found that when I lower my voice my kids immediately look at me to “see” what I am saying. If you raise your voice instead of lowering your voice to be heard, you will end up with a madhouse where everyone yells to be heard but no one really hears each other. Think about it. #3 – Don’t repeat yourself. This is hard but, trust me, it works. No yelling and no repeating yourself is a good way to train your kids to listen to you the very first time you say something. Again, this will take some time to adjust. Just as I expect my children to obey me at once, I also expect them to listen to me at once. We should expect them to be looking in our eyes when we speak and be fully focused on receiving our instructions. 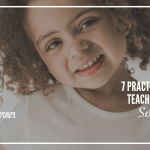 #4 – Give your kids checklists to follow. Checklists work wonders to help kids focus on what needs to be done. 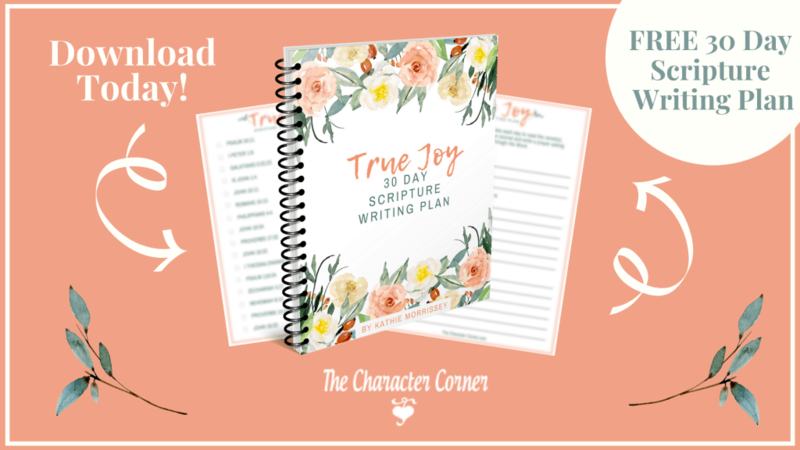 It contains short and clear directions and helps them track their progress. I don’t have to tell them what to do once they get up – their checklist will guide them and help them focus on getting things done. This goes to my 5-year-old daughter too, who is just learning how to read. A few months ago I created a set of weekly checklists for my children to help them be more independent and responsible. I added their chores and their homeschool work to be accomplished daily from Monday to Friday. The results were amazing!! Our homeschool routine now is accomplished in almost half of the time that it used to take us before. 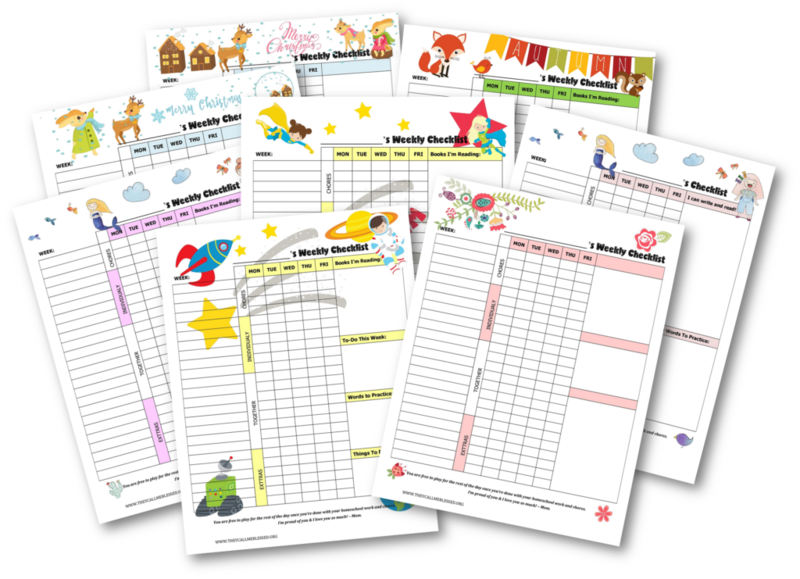 You can download my set of kids’ weekly checklists here. Checklists keep your kids attentive to the tasks at hand. They don’t have to wait for us to give them direction if they already have it, right? #5 – Play attentiveness games. Attentiveness games work well, especially with little ones. Simple games like Simon Says and Pass It On help them to be attentive to your instructions and respond immediately to it. There are many games you can find to help you. I am not the most creative mom but I found this very inexpensive book on Amazon that has great concentration games. Playing games is always a fun engaging way to teach kids. It is a lot easier for kids to remember something when they have fun learning it. 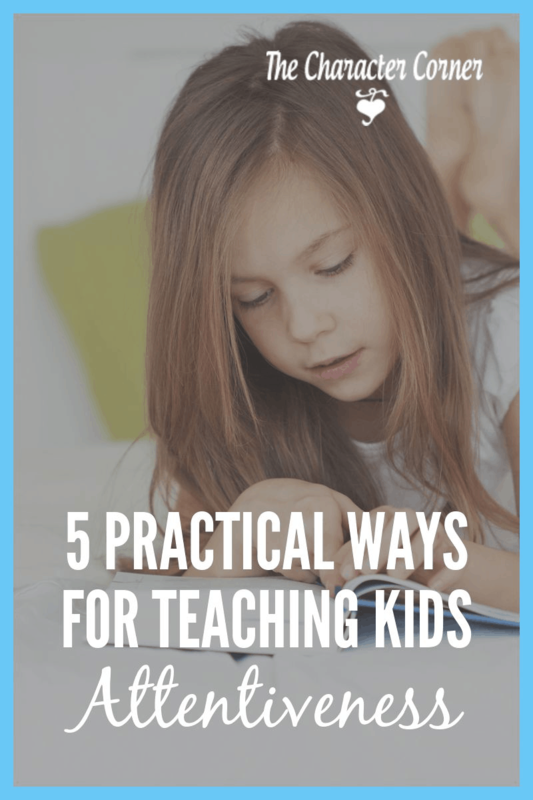 Are you ready to put these 5 practical ways for teaching kids attentiveness in practice? Please note that you must allow 6-8 weeks working on the habit of attentiveness to see change. This is not an overnight miracle. It requires work and patience but the result of having your kids’ full attention is absolutely worth it! As you teach your kids, you will also learn to be fully present and attentive as well, and this will be a game-changer in your home. Teaching kids attentiveness is highly rewarding! Explain to them what attentiveness is and how important it is to pay attention to what they have before them, either it is a person or a task. Lower your voice instead of raising your voice to be heard. Don’t repeat yourself so they will learn to listen to you the first time. Give them checklists to help them stay focused on their tasks. I would love to hear your feedback on teaching kids attentiveness. 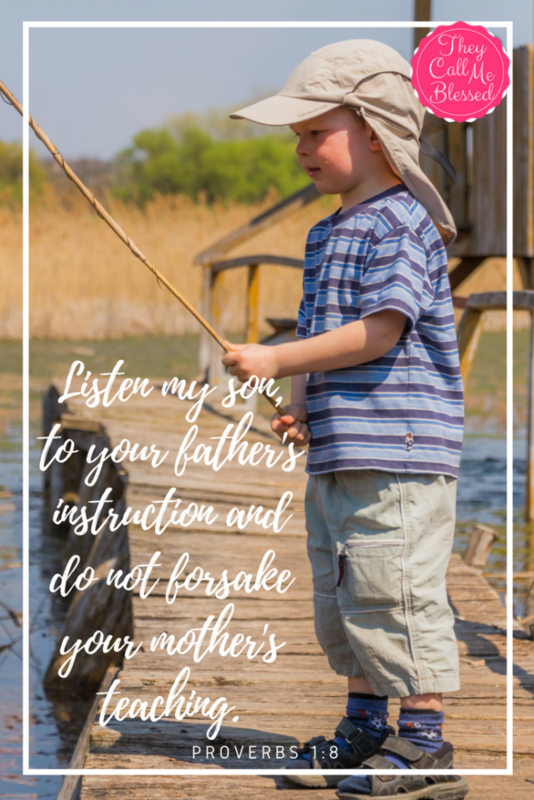 Let’s connect on Facebook or through my blog for more practical ways to help moms go from stressed to blessed. If you are a homeschool mom, join our Blessed Homeschool Moms community. Just a few hours after I read this, my daughter asked me something and then wandered off to go draw before even waiting for a reply. My jaw dropped and I realized how much we need to work on this. I tried to cushion it with using examples where she felt I wasn’t paying attention, but then said we’re going to work on this together so we can love each other better and stop repeating ourselves (my daughter hates repeating herself!). Dawn, what a great idea to work with your grownup kids and their kids on this! If you scroll all the way to the end of the post to the box at the bottom, you enter by visiting the pages, or doing the other options there. Let me know if you are still having trouble!